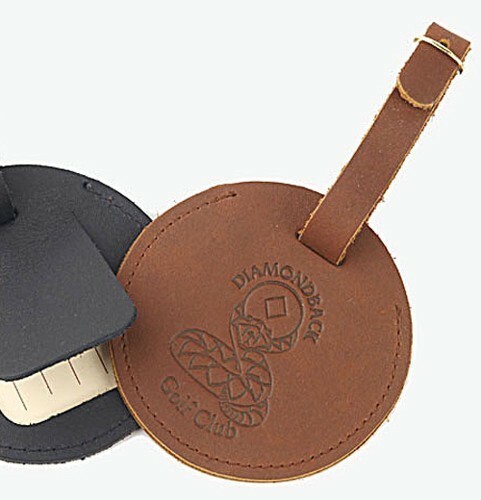 Stylish and functional, our new black leather & polished silver metal key fob will securely hold your keys and highlight your club or tournament logo. 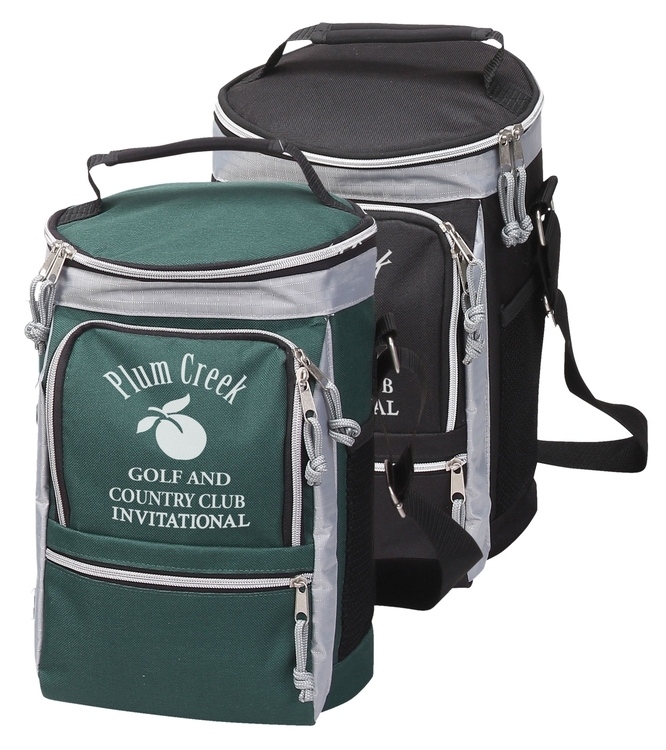 Great add on for your goodie bag of favors or over the counter pro shop sales. 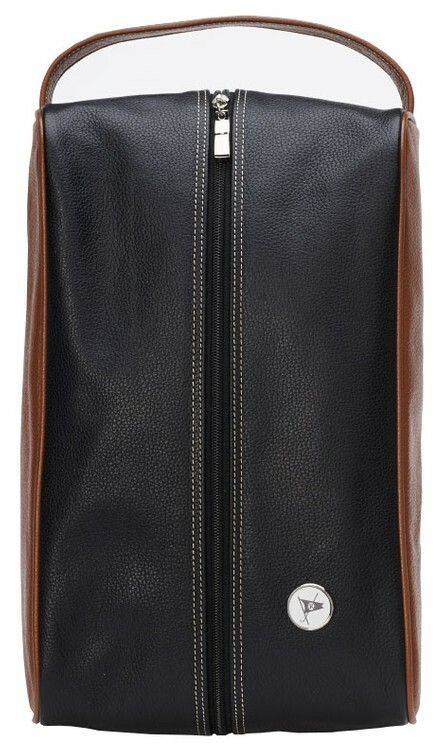 A mix of honeycomb jacquard and 600D polyester gives this bag a stylish look. 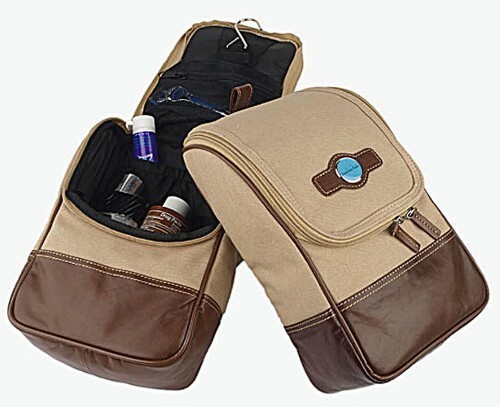 This 12 pack cooler features a removable heat sealed clear lining for easy cleaning and is water resistant. 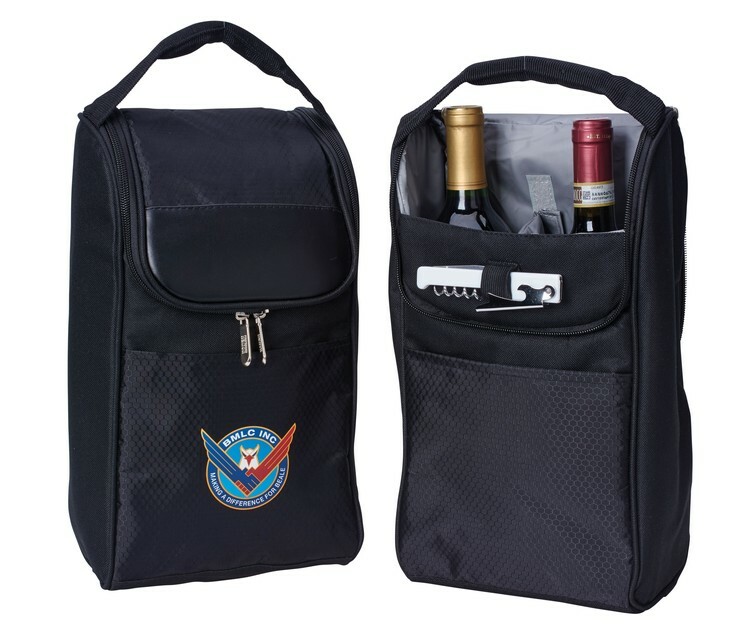 It also has a Velcro top pocket allowing for quick access to your drinks. 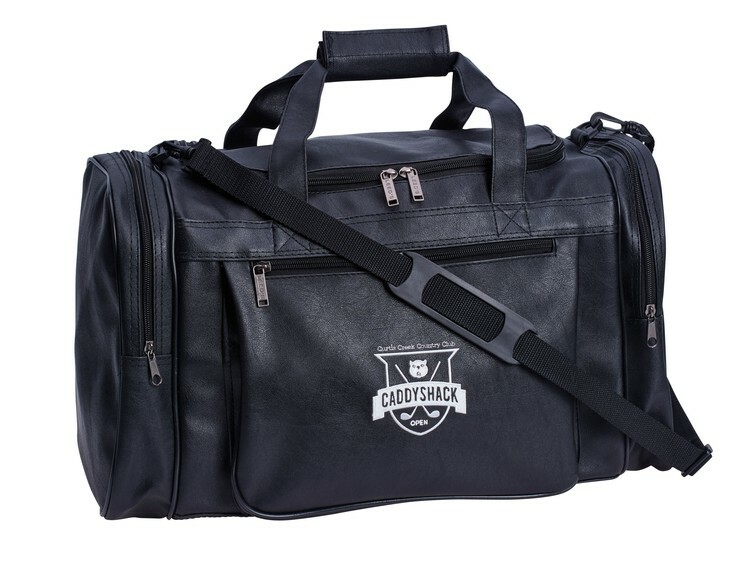 Also features a front open and side mesh pocket with adjustable shoulder strap to finish this fun piece. 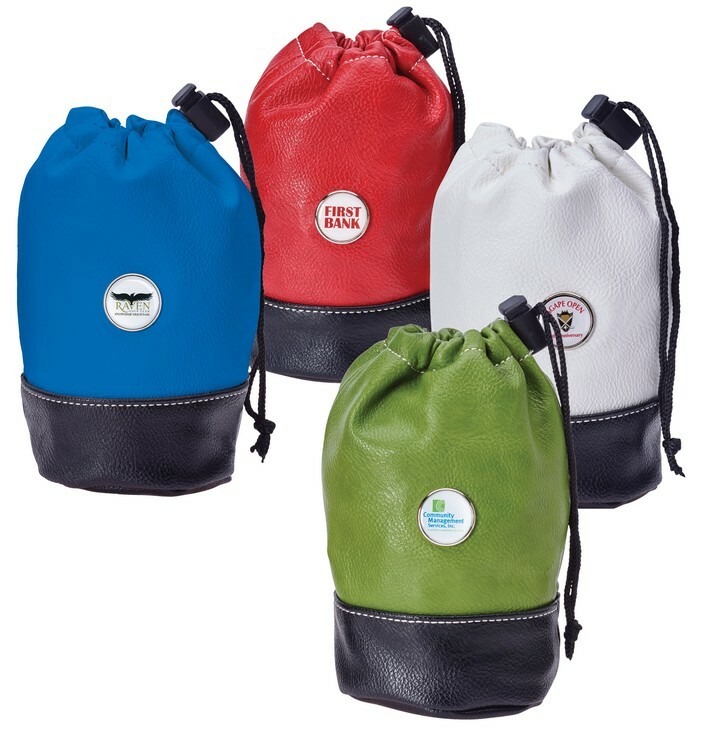 Our colorful zippered valuable pouches will keep your essentials safe when not in play. 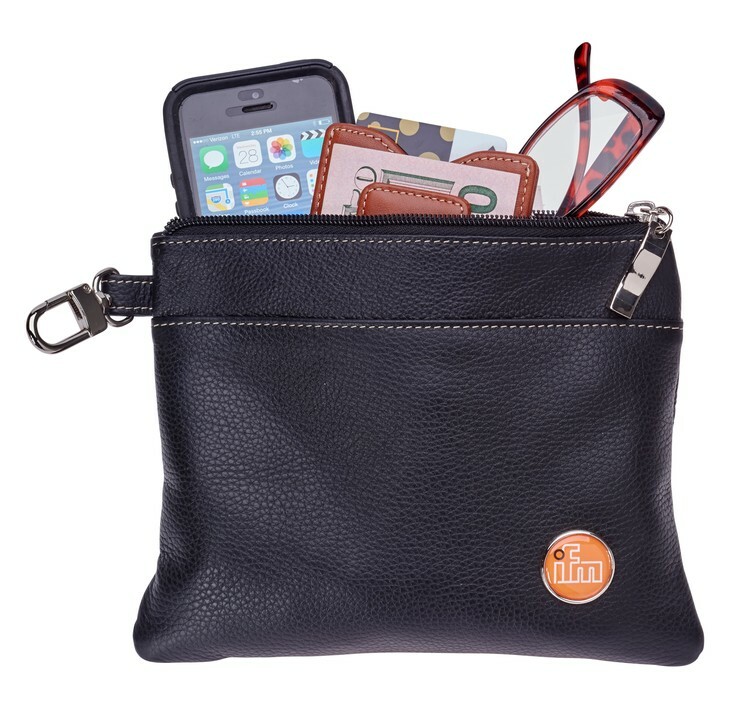 Our pouches are lined with a non-abrasive felt and sewn in contrast stitch for a great look. Four colors to choose from with the highlight being your custom one inch medallion. 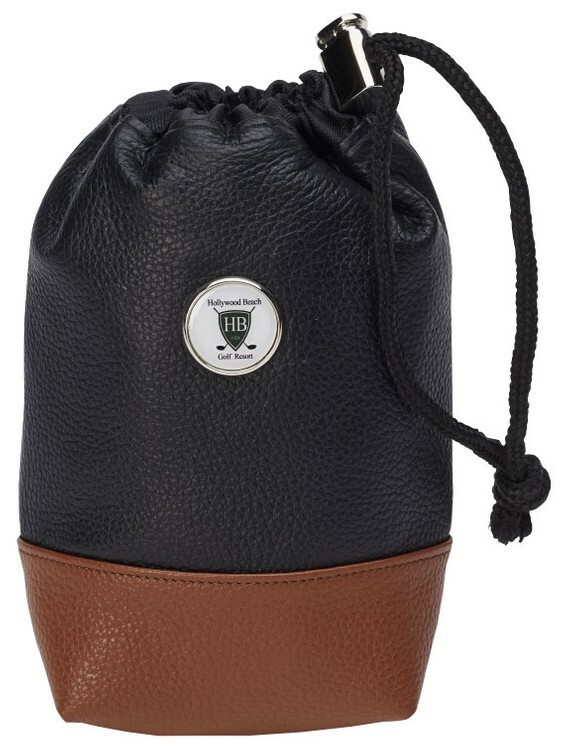 Grabbing a quick refresher during a round of golf has never been easier. 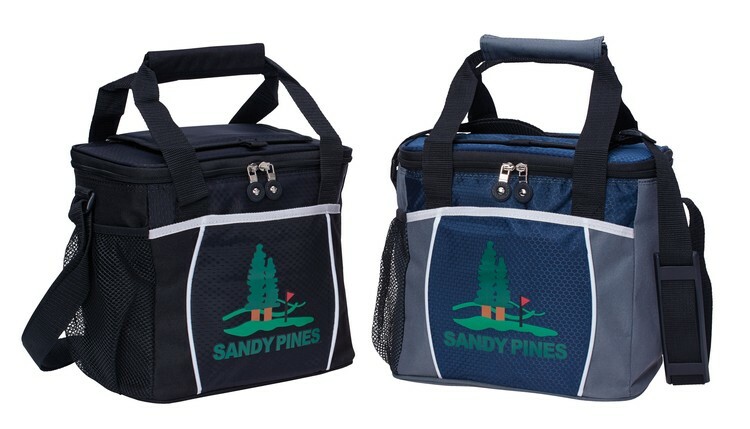 The perfect cooler for a day on the course features a foam-padded main compartment w/peva lining to keep drinks cool and a foil lined front compartment to keep your food warm. 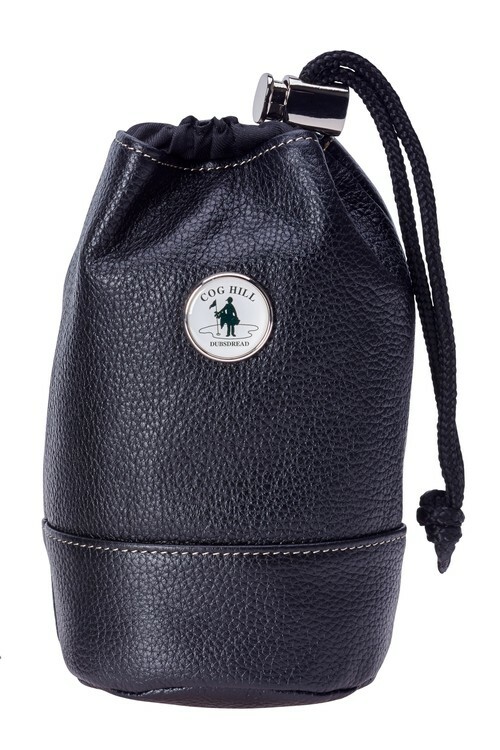 A mesh pocket on the side with a soft grip handle and detachable shoulder strap round out this amazing piece. 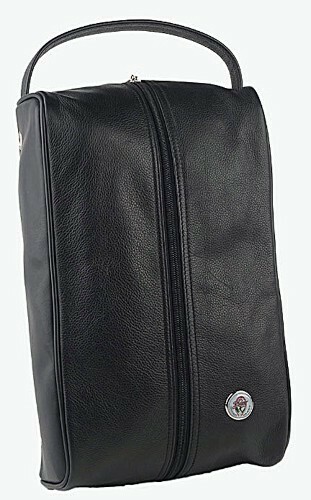 Made of 600D polyester. Available in green or black. Minimum order of 36 pieces applies. 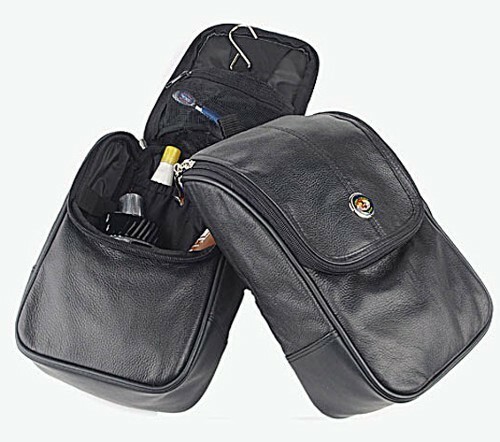 Imprint on front pocket can be either heat transfer or embroidery. Running charges apply. 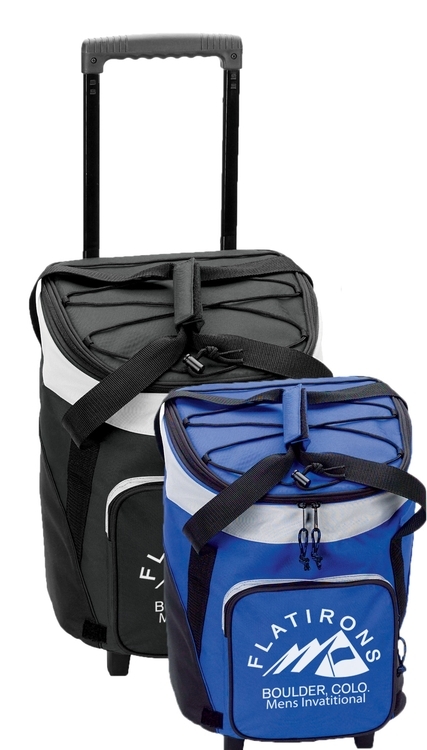 Made of 600d polyester, this economical, extra-large capacity cooler is perfect for any size party. It keeps up to 36 cans cool. Too heavy? No problem! 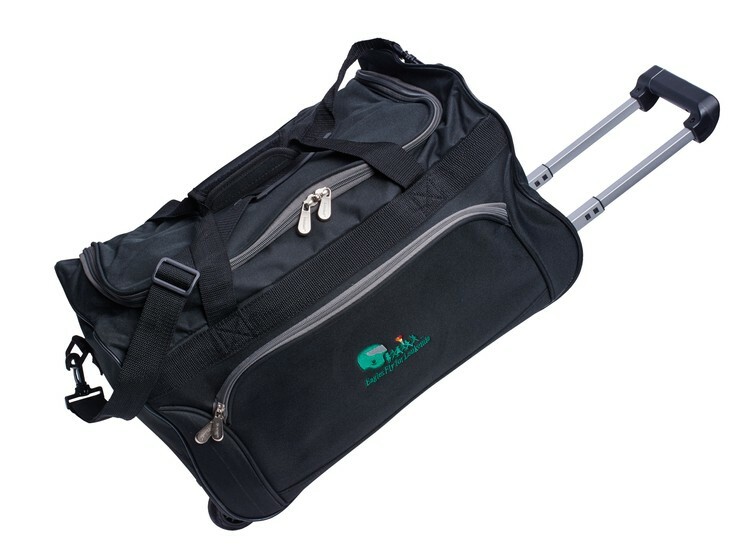 A sturdy pull up handle and wheels take the load off and make it easy to roll. 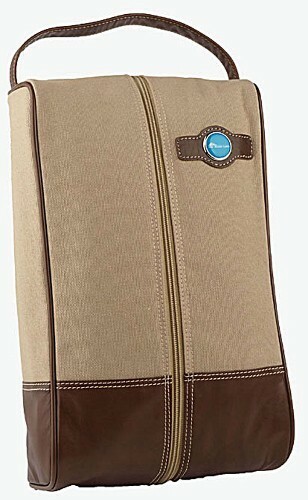 Also features a zip pocket in front and dual handles. 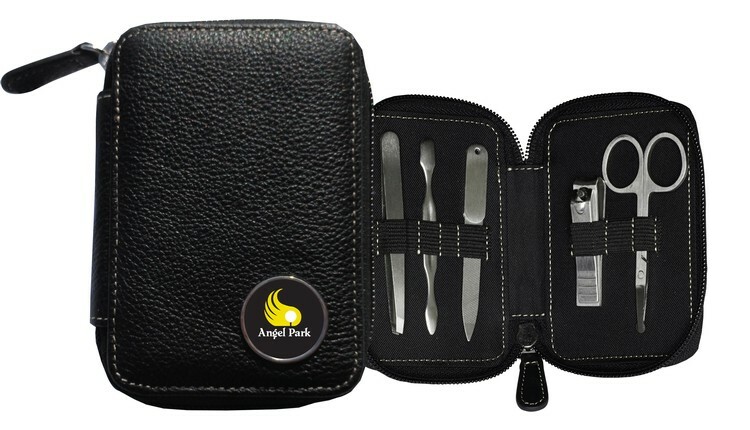 What a fine for any tournament gift. 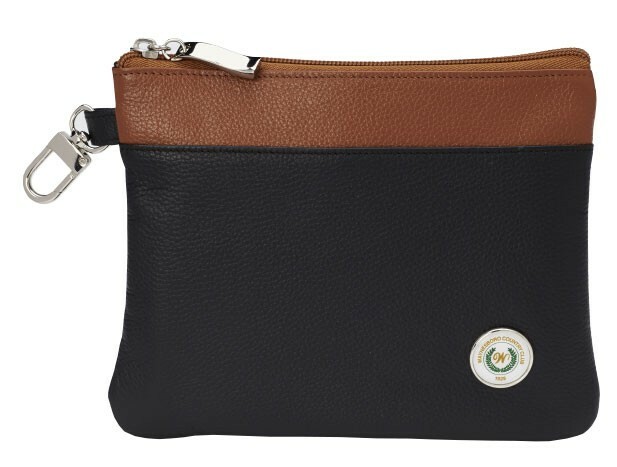 Available in Blue or black. Minimum order of 36 applies. Imprint is either heat transfer or embroidery. Running charges apply. 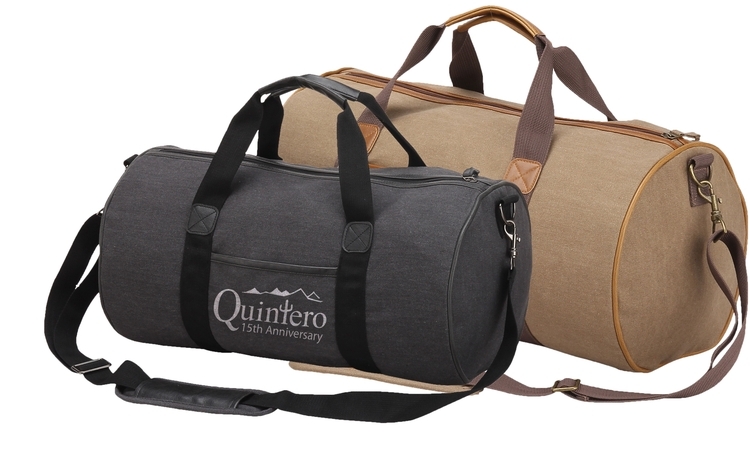 This classic duffel is a great piece for daily use. Made of 12 oz. 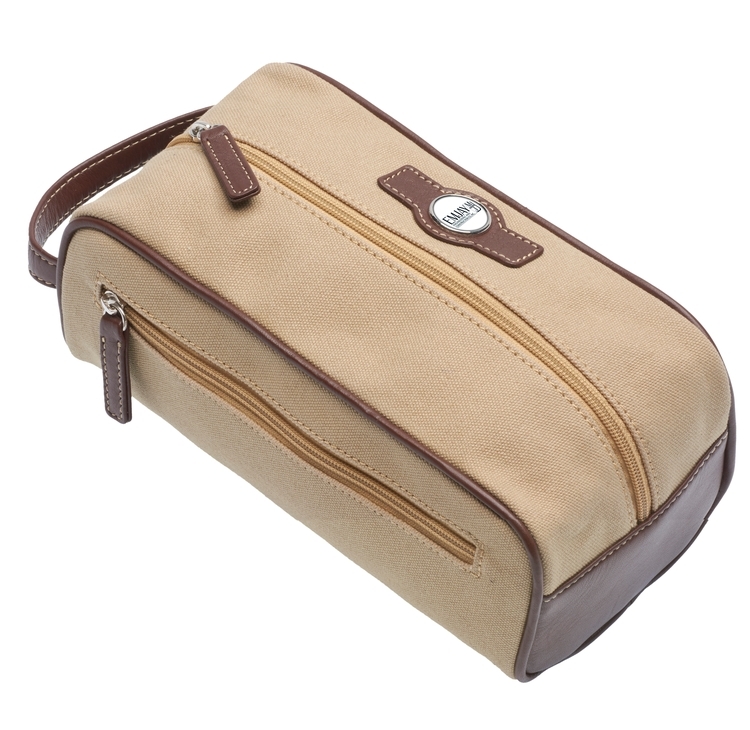 stonewashed canvas with a faux leather trim, a front open pocket allows for easy access to your smaller items. 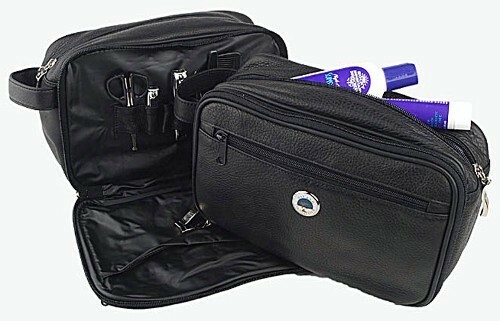 A zipper pocket inside the main compartment holds small accessories. 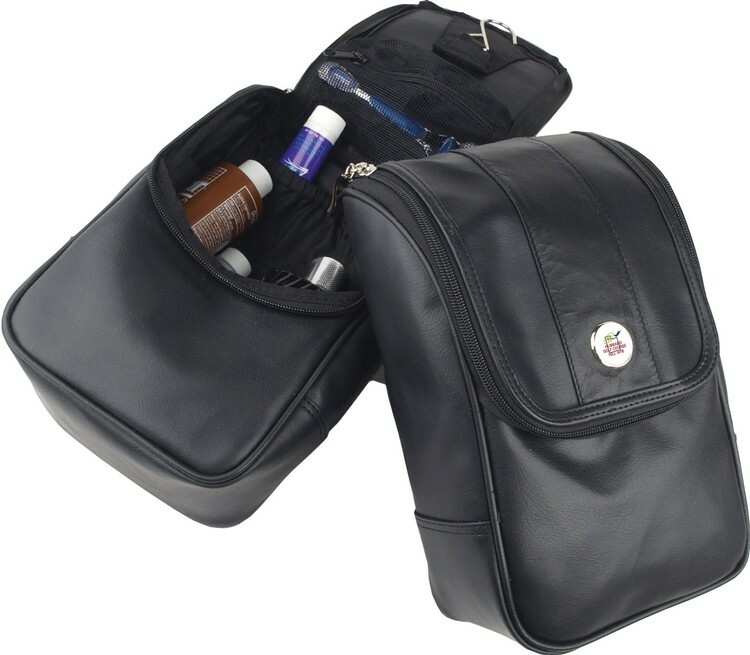 The spacious main compartment allows for any clothes, towels or other necessities. 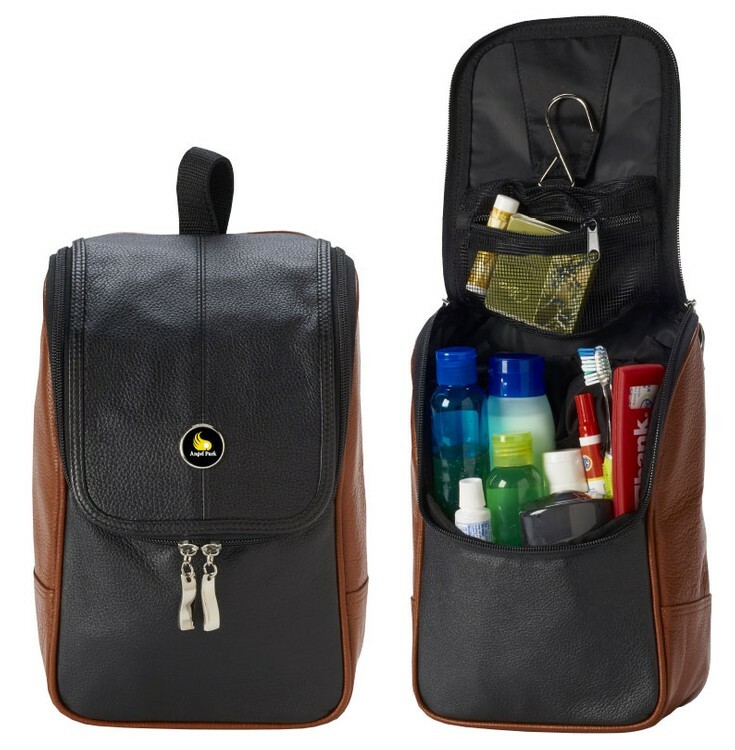 Dual carry handles and an adjustable, removable padded shoulder strap allow for easy carrying. 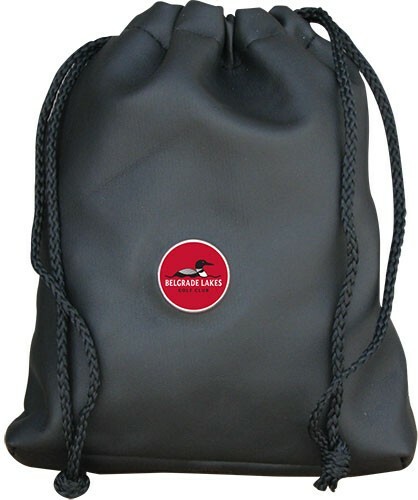 Custom imprint available on the front pocket in either a heat transfer or embroidery and is available in black or tan canvas. Minimum of 36 pieces applies. Running charges apply.